you can do this. The key to success is not focusing your efforts on changing the old but rather building the new. At PowerHaus we welcome your goals, your journey and YOUR efforts. We're happy you're here! I've been the woman who is scared of getting bulky. Who uses a few machines and lives on the treadmill. I've been the woman who was intimidated to lift weights because I wasn't sure how. Together we're going to overcome the things that are holding you back! 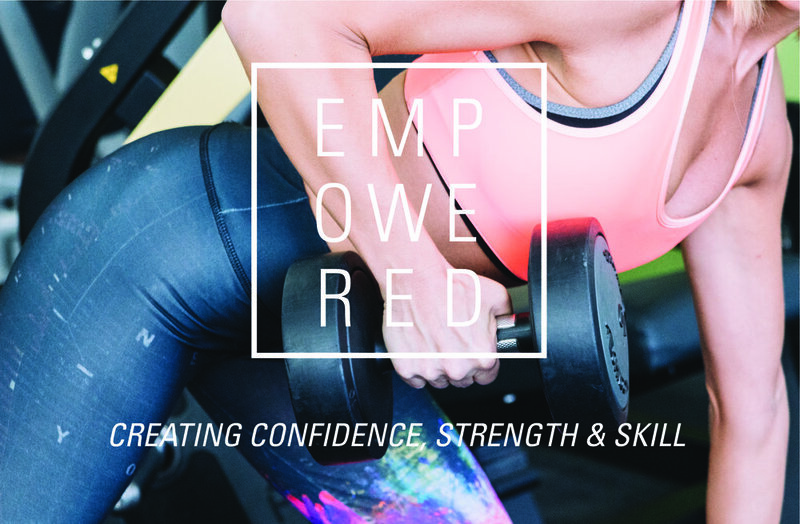 Empowered is fitness for women! Our first class will cover proper lifting form, equipment and free weight exercises and introduce you to some basic and intermediate lifts that will enhance your workouts. Come prepared to sweat!